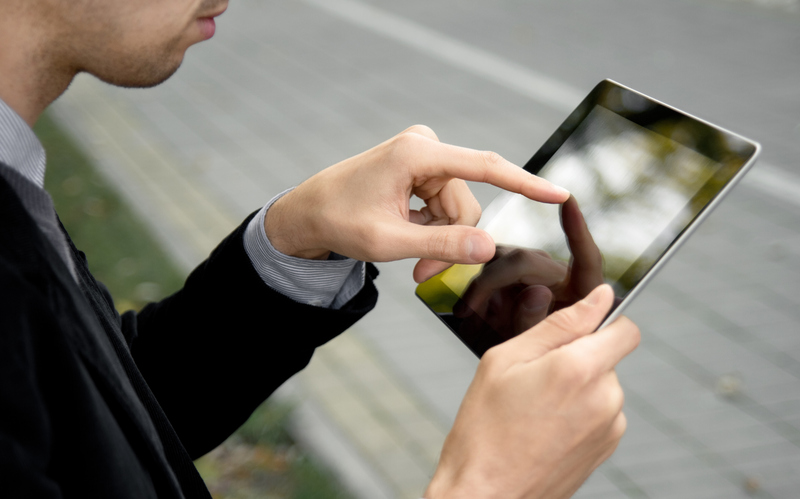 The tablet market is still growing, but at a much slower rate. Q1 2014 saw 50.4 million units ship worldwide, up from 48.6 million the same quarter last year. Apple’s iPad once again took first place, although it dropped to 32.5 percent market share, while Samsung maintained second place by growing its share to 22.3 percent. Asus held steady in third place at 5 percent share, followed by Lenovo seeing big gains to 4.1 percent and Amazon falling to 1.9 percent. Apple’s share losses are due to continued success from competitors both large and small, causing it to “only” ship 16.4 million tablets in the quarter. The company does far better with tablets during the holiday quarter, the last one being its most successful on record. On the Android side, Samsung once again secured silver with shipments of about 11.2 million units, growing by more than 5 percentage points. Asus shipped 2.5 million units during the quarter, Lenovo shipped 2.1 million units, and Amazon rounded out the top five with 1 million units. While these figures are based on preliminary data, it’s worth noting that the slowing growth we saw at the end of 2013 continues into this year. 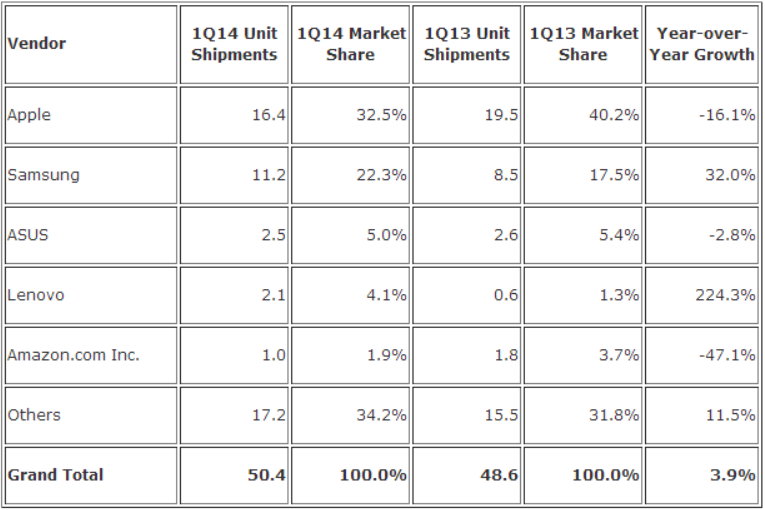 In other words, it looks like the tablet market is starting to mature. Companies will have to get even more vicious to win over consumers this year. As we’ve noted before, the push for cheaper and cheaper devices with more and more features will likely push some players out of the game.